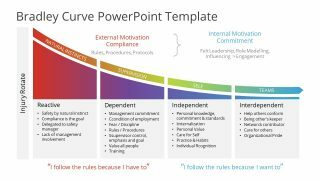 The Digital Evolution & Organizations PowerPoint Template is a simple business presentation concept design. 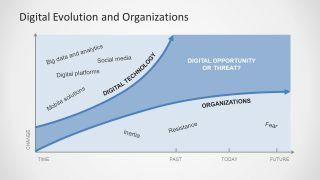 This slide is a graphical representation of advance technology evolution which is affecting organizations of all sizes. 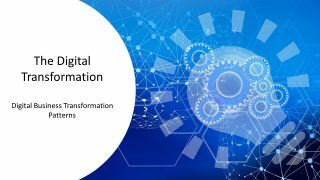 There is quite a difference between digital transformation and evolution. 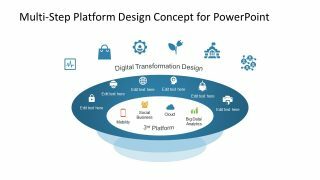 The transformation simply means transitioning business model, infrastructure and vision into digital ecosystem. Whereas, digital evaluation means a rapid transformation of technology. Therefore, in today’s time, just transitioning is not enough, companies must adapt agile business model to continuously evolve. And to present this concept, SlideModel provides a 1-slide graph to explain components involved in digital evaluation process. The Digital Evolution and Organizations slide shows a graph showing change in y-axis increasing vertically. While time is in x-axis showing past, present, and future. The curve of digital technology is moving in an upward direction i.e. continuous change. And it involves factors like digital platforms, social media, mobile solutions etc. 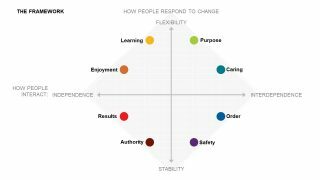 On the other hand, the organization curve slowly moves with factors like fear and resistance. The organizations can use this template to pitch digital evaluation and maintain position in competitive market. They can also motivate their employees to focus on adaptability and willingness to face changes.